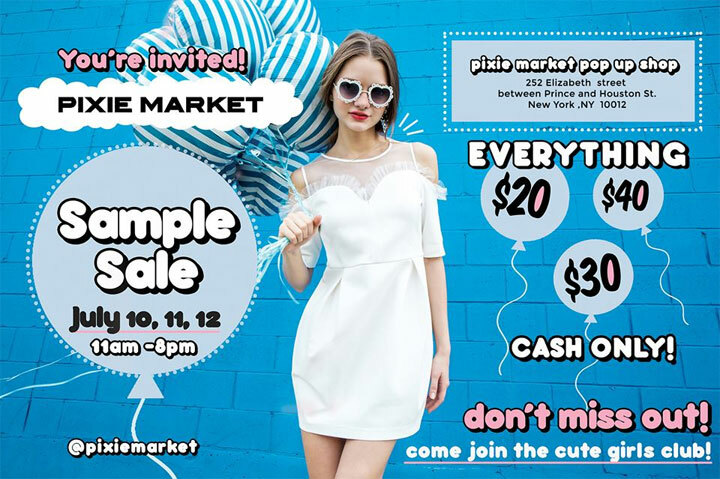 WHY: All women’s clothing and accessories will be priced at $20, $30, and $40 at the Pixie Market Sample Sale. 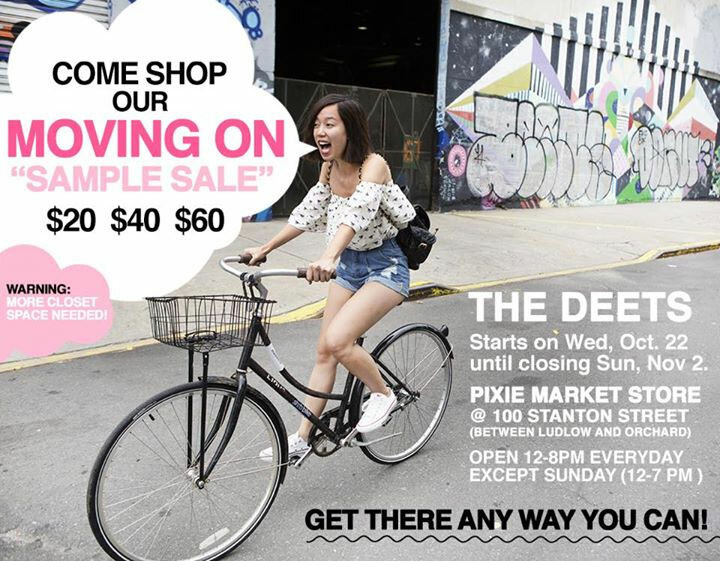 WHY: Select items up to 80% off at the Pixie Market Moving Sample Sale. Clothing, accessories and jewelry priced at $20, $40 or $60. You know the feeling you get when you snag an incredible deal on something? How your jaw drops at the price tag and how you rush off to the checkout counter giddy and excited? How you can’t wait to take pictures of it, wear it, show it off and tell the world just how shopping savvy you really are? That’s a pretty amazing feeling. While sometimes I lean toward keeping my major bargains a secret (it’s nice to pretend you spent way more on something than you actually did, no? ), I often can’t help myself but to lean in closely to someone and whisper just how awesome of a deal it was. Anyway, we wish upon you that very shopping experience as you wander around at the following Don’t Miss Sample Sales this week! 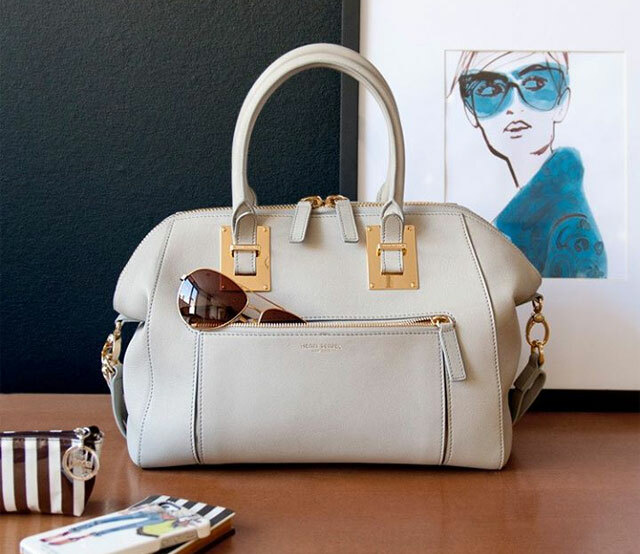 The Henri Bendel Friends & Family Sale kicked off on Friday and lasts through Sunday. You can shop this one both online and in stores and the discounts are as follows: 20% off purchases of $150 or more; 10% off all beauty purchases. Just use code “SPRINGFF” at checkout when shopping online and note that all sale items are excluded from this sale. From parfums to beauty products to gourmet foods to upscale women’s accessories and beyond, there are still some amazing deals to be had. 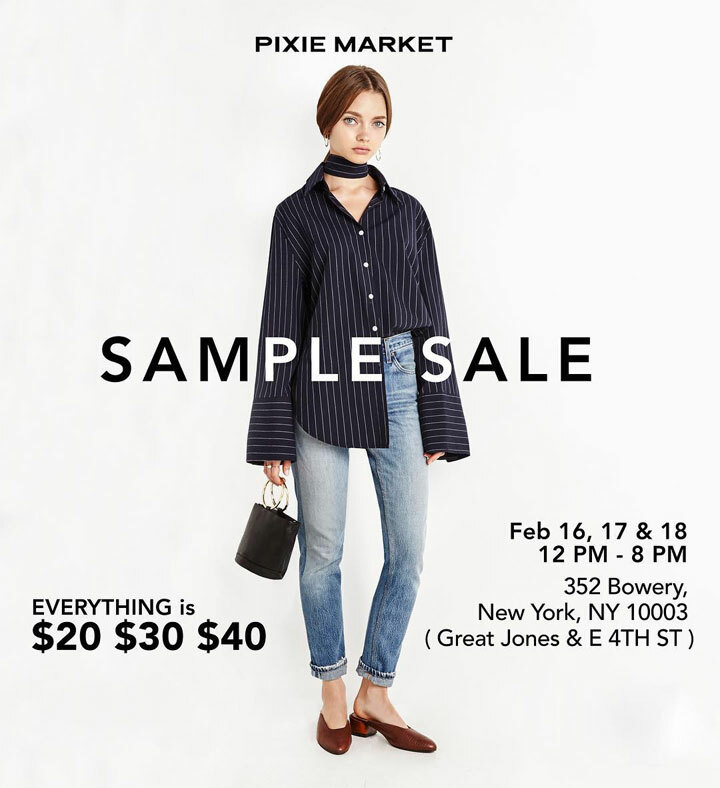 Pretty much every single item at the Pixie Market Sample Sale is either marked down to $20, $40 or $60. How brilliant is that? You’ll also find accessories for under $10. These markdowns are pretty steep, too. Expect discounts up to 90% off the retail price on jewelry, shirts, dresses, shoes and accessories. Pixie Market is known for their splashy prints and youthful spirit that permeates pretty much everything they sell. Brands Katie Ermilio and Waldrip have teamed up to offer a sample sale that features 80% off womenswear. Each designer has their own aesthetic, of course, but each leans “sophisticated city dweller.” Think interesting texture combinations, thought-provoking silhouettes and luxe colors that look positively expensive. When someone says 75% off women’s clothing and accessories, we’re totally there. You should be, too. The C. Wonder Sample Sale features apparel, accessories and home goods marked down super low. We love their fresh and funky prints, standout jewelry and and interior goodies that’ll have guests oohing and ahhing the second they waltz through your door.